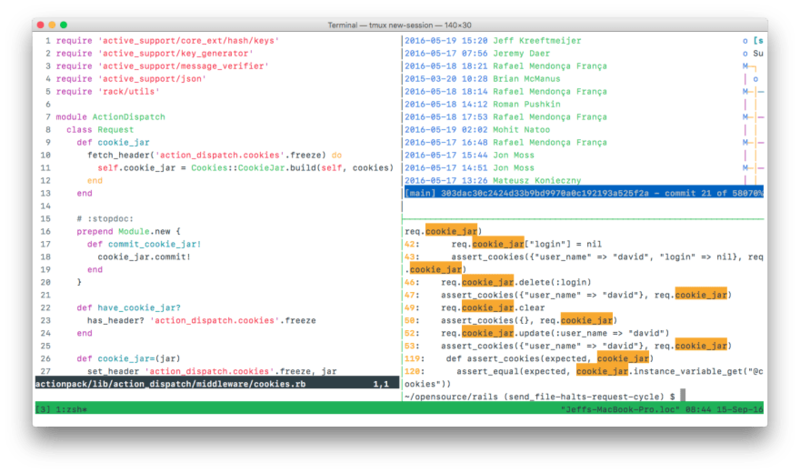 For an article I'm writing; what's your favorite editor/terminal color scheme? How long have you been using it, and what did you use before? 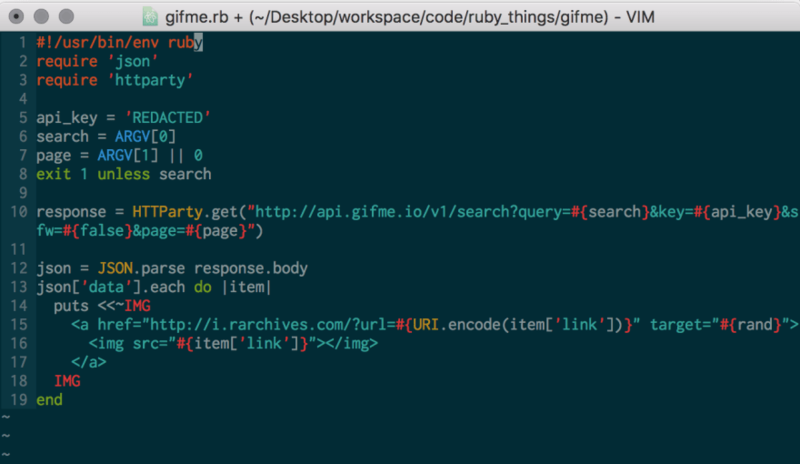 And, perhaps most importantly, do you use the same scheme in your editor and terminal? Bonus points for posting screenshots of your setup in action! Here's mine. Yes, I'm a villain. First off, props for being a villain and proud. We need more like you around. 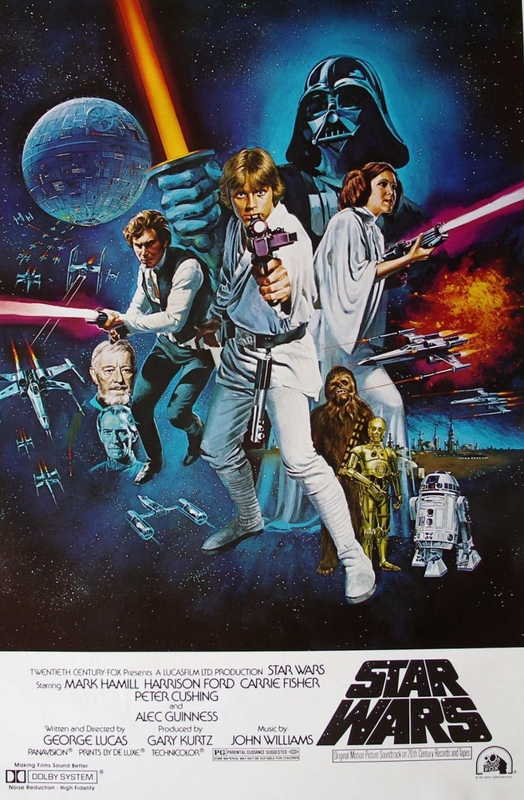 That said, if you would like to try the dark side again, I recommend looking into Dark Reader. I'm not sure if they have a Firefox version or not, but I use it on Chrome and it's a lifesaver. An easy click will turn the dark version off or on for any site. Browser addons to the rescue - try "Dark background light text" for Firefox. You've inspired me to become a villain and use a light theme from now on! I also use PaperColor for my VS Code and Vim. I love An Old Hope! I've either found ports or ported it to pretty much everything I use: Hyper term, iTerm2, VS Code, Vim, etc. 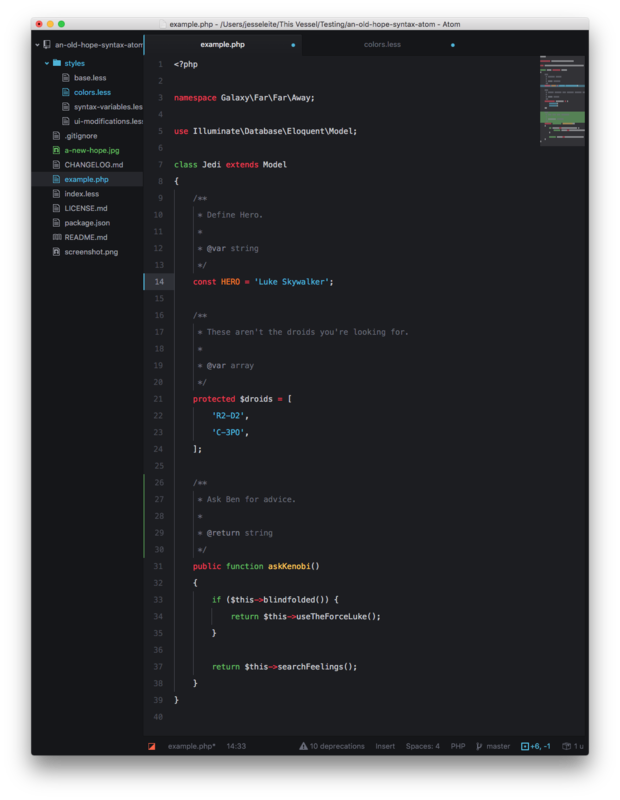 This theme best integrates with Atom's One Dark UI. By default, UI is left untouched. 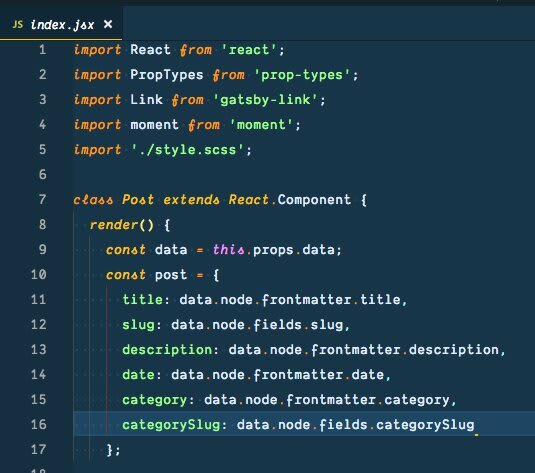 If you want the modified UI (as shown in the screenshot below) for better colour matching between UI syntax theme, add the following line to your Init Script and reload Atom. I use that one too! I hadn't considered porting it over, but now I'll have to look into getting it into RubyMine cause I prefer it over what I'm using there (Monokai). They've been in their current state for about a year, but had been taking shape gradually for around another year before that when I migrated to Linux and decided to put some effort into colorschemes instead of just using the defaults. I've been using it for around 1+ year and I used to be a one dark theme user. I use gruvbox for pretty much everything, though I tweak it a little bit (darker backgrounds in Vim, transparent background in terminals with an almost-black textured image as the background instead). 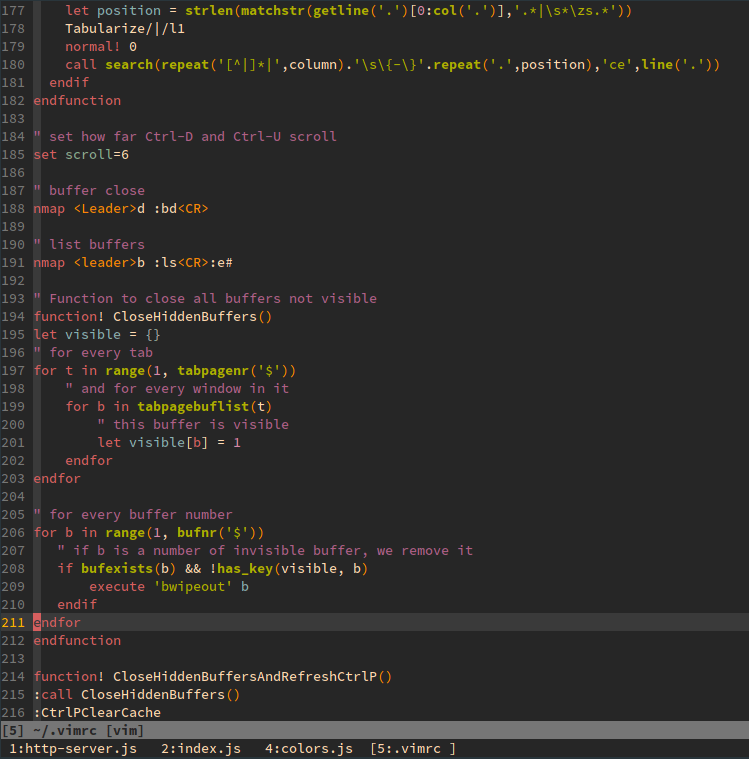 Before this I used (probably) something like Tango for the terminal colours and Molokai or Jellybeans for Vim. I can't work well with light backgrounds. I can't stand Solarized or its derivatives, which seems to be everyone's go-to scheme. I'm aware that Gruvbox takes some inspiration from Solarized but it does it in a much less annoying way and my customisations are mostly to up the contrast anyway. 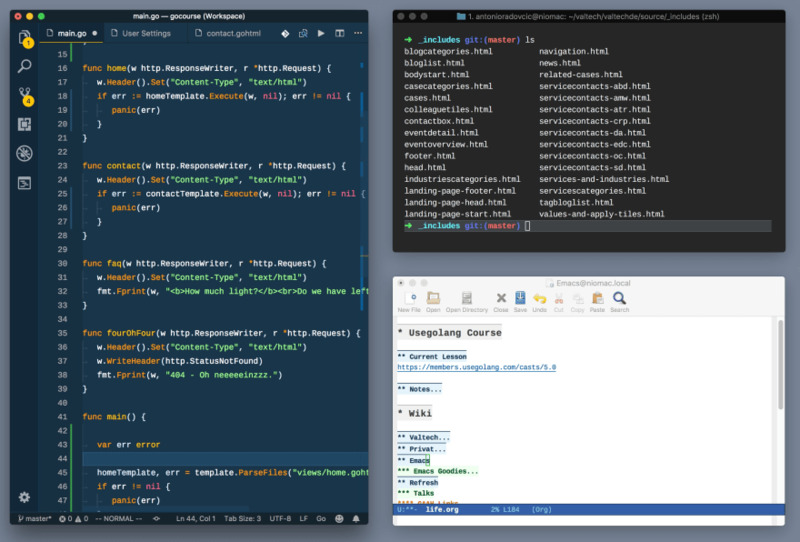 Material colors in the "palenight" variant in both iTerm and VScode. Before that I was using Solarized light for a really long time and before that Monokai (dimmed mostly). Yes, I got really used to it. 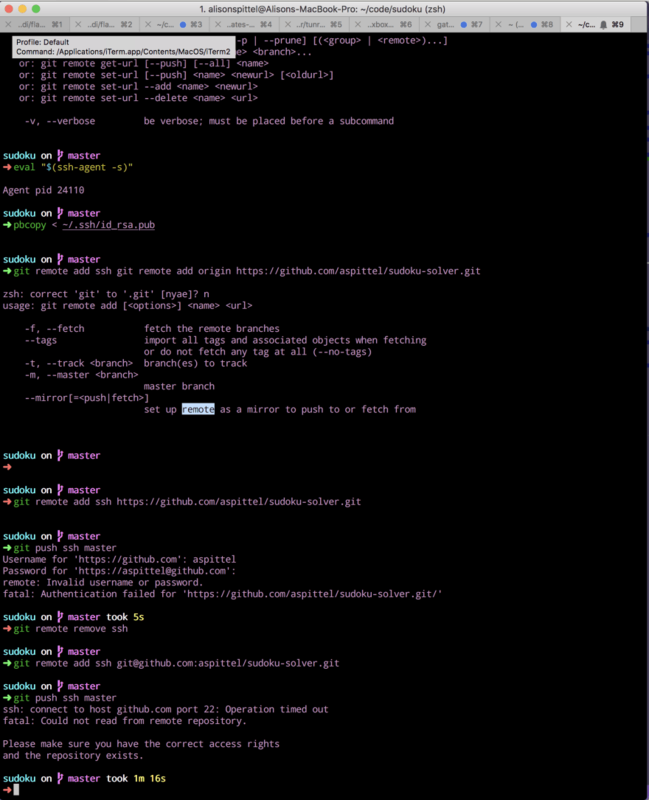 It's colorful enough to easily tell apart different parts of the code while at the same time not being overly bright. 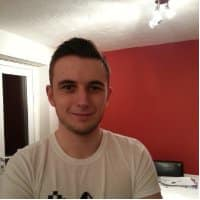 I use VS Code and was using Cobalt2 as a theme and going between it and Dracula. 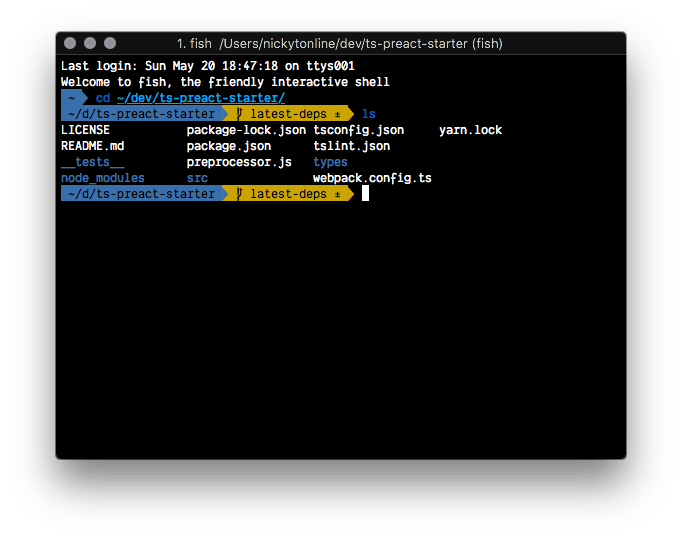 For the terminal, I'm on fish shell and use the Agnoster theme when using Cobalt2 and the Joker Theme when using Dracula in my editor. 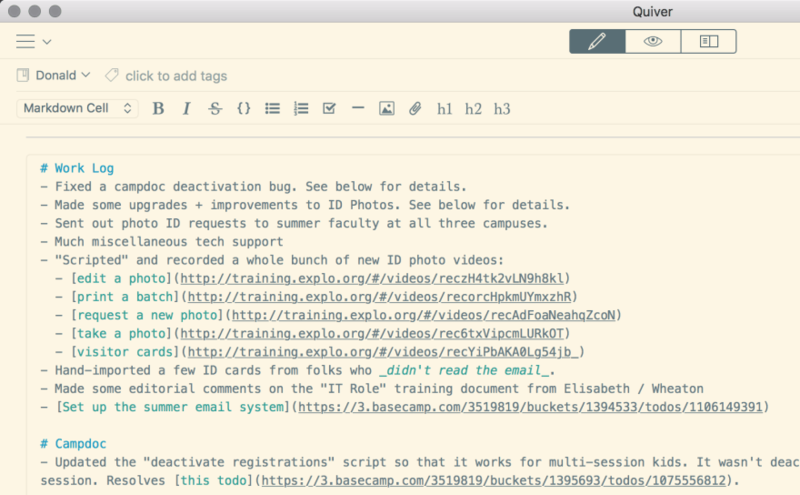 However, recently, I switched to the Night Owl theme in my editor. I've been using Fira Code for quite some time now as I'm a big fan of its font ligatures, but recently I purchased Dank Mono. I never thought I'd pay for a font, but I just think it's 🔥! I've never considered moving the explorer to the right. I'm gonna try that! 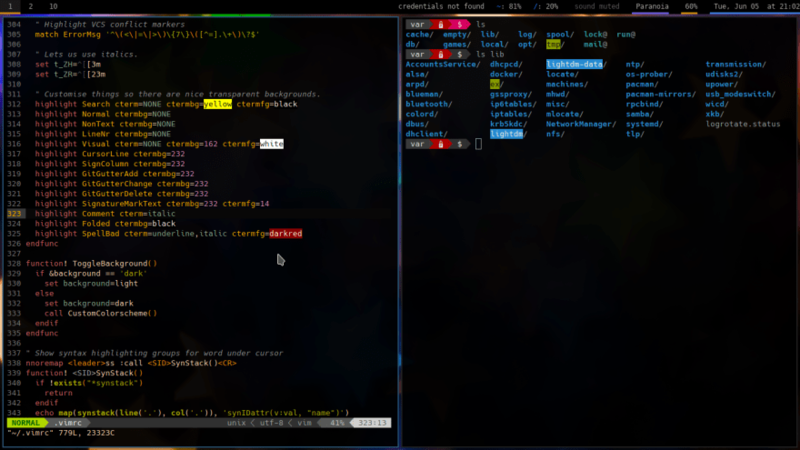 I was used to Solarized Dark, but a few months ago I switched to Zenburn in my terminal and Emacs, and I'm happy with it. I switch between Dracula and FairyFloss . For the terminal, I use spaceship for zsh! I have it tweaked to be more pink though! Anything else: Whatever I can find that is closest to Darcula. 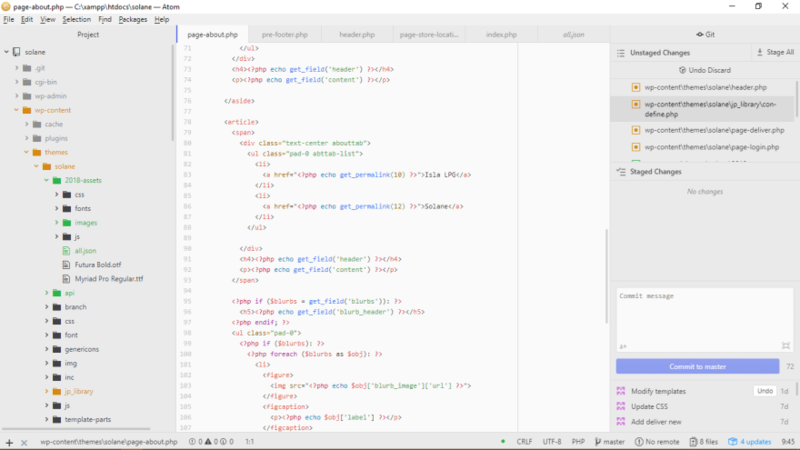 The official Darcula Look and Feel for programming environments by Konstantin Bulenkov. Darcula Look-n-Feel is licensed under Apache 2.0 license and can be used in commercial products free of charge. However, I strongly ask you to use original theme name "Darcula" in your product. 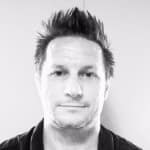 Links to this project from your products or a simple mention are very welcome, but not necessary. I in the middle of trying the material theme for Jetbrains at home and work since the icons and feel is so nice, but I have it set to still use Darcula for the editor. 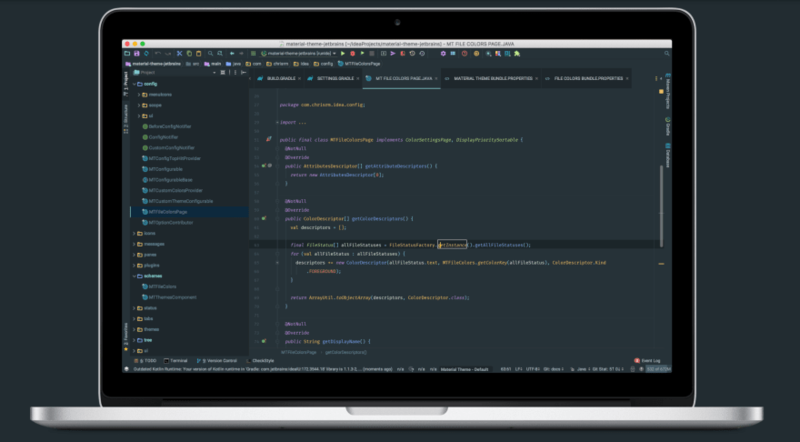 This is a Material Theme port of both the IDE and Color scheme for JetBrains products. Thanks to the awesome guys at JetBrains the plugin is now supported on pretty much all IDE, however there might be some issues on Rider since it's a different SDK. Android Studio is partly supported. iTerm and similar tools I change frequently in the endless quest to Darcula all the things. tl;dr: boring default light theme. I could never find a theme that worked well enough across iTerm, vim, Sublime, IntelliJ and Xcode. My eyes also don't like adjusting between dark themes, word, outlook, wikis, and other webpages (nearly every thing is "light theme" without jumping through hoops). So for consistency's sake, I just go with the default "light" theme everywhere. 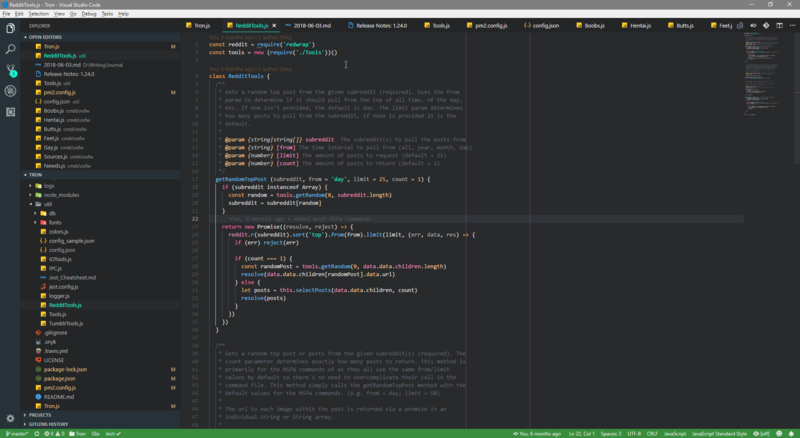 Started using the one in Atom about 2-3 years ago, Once you go green you won't change your theme! I tend to light-on-dark for terms, transparent background where I can, with specific colors per machine, so I know where I am by color first and foremost. I use VBCode with Solarized Light as my theme. I hear light-on-dark as easier to read, but I can focus better with dark-on-light in the editor. I switch between Monokai and VS Codes default Light theme. I've been on this for about 8 months, prior to this I just used Monokai all the time for the past few years. Working in a very bright office with lots of reflections I found using any dark theme was awful so that's why I ended up switching between the two. Terminal I just use the default ZSH theme. 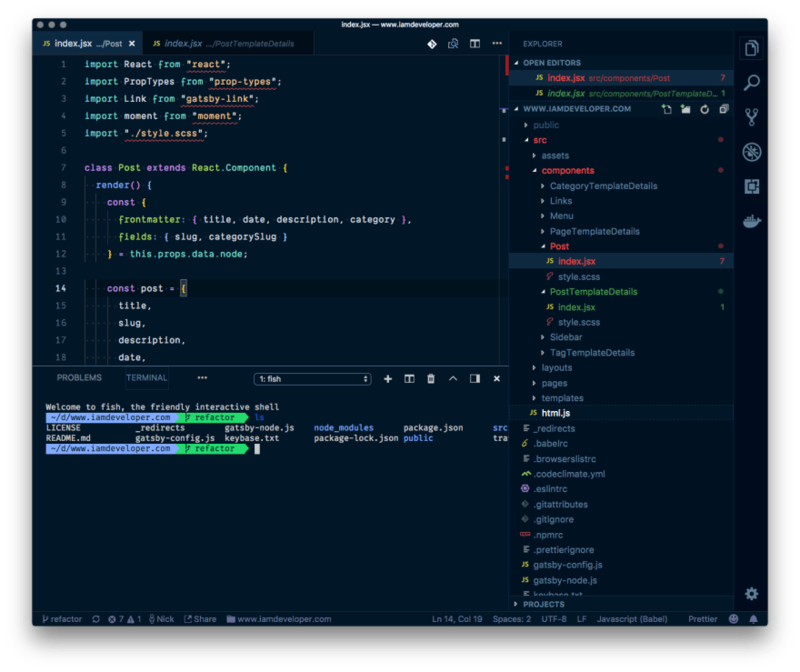 I used Atom for a while, but switched to Visual Studio Code for general purpose development and I have been amazed with it. I like to use DuoTone Themes - Dark Space. I customize solarized because default Solarized has too much contrast for some colors. I use almost same themes for VSCode, Xcode, iTerm. And I'v using this theme more than 5 years. For now I feel board using this theme. I'm looking for another light themes. I've been all-Solarized, all the time, for many many years. 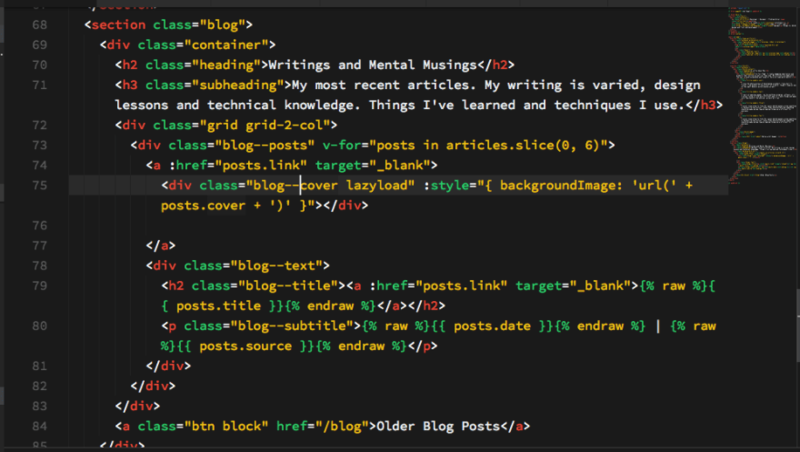 Before Solarized, I would spend way too much time making custom themes that never looked as nice. I like that there's a version of it for everything, so that I don't have to think about these things anymore. Having a premade version for everything would be my reason to switch back too. I used Solarized for a couple of years, but couldn't get used to the yellow background color (I tend to switch between bright and dark a couple of times a week). I use a customized version of gruvbox on my Vim since several years and i never changed it anymore. I love it so much. 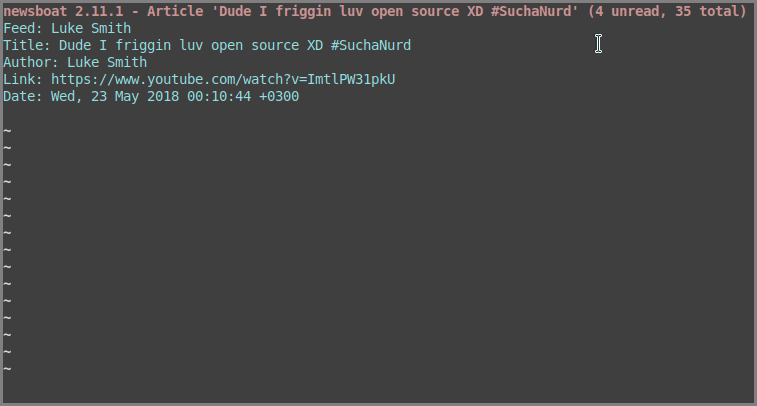 I have a dark theme that i've customized for my text editor, I.e. 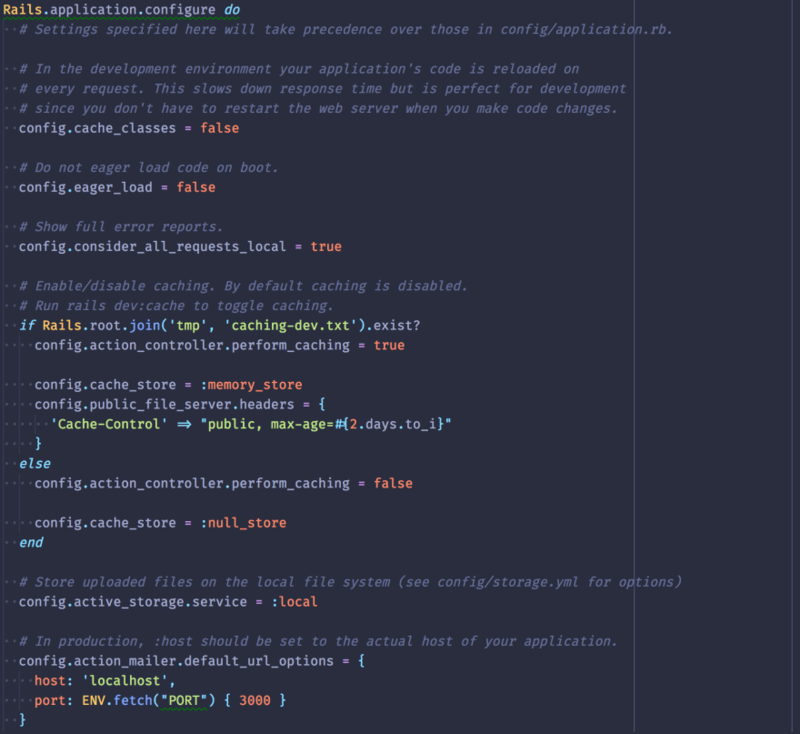 i have comments in pink because it catches my attention when skimming through code. Thanks for all the responses so far! It seems like Solarized, Monokai and Dracula are (still) the most popular. I used both Solarized and Monokai myself in the past. I've been using my own appsignal.terminal for the last two years. 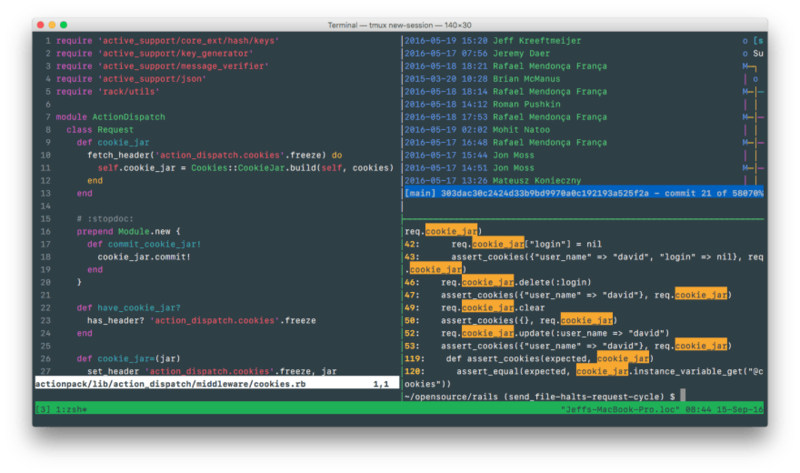 Since I'm using Vim in tmux from the terminal, using a terminal theme combined with a sixteen-color Vim theme was the easiest way to get the same colors in both my terminal and editor. I switch between the dark and light versions a couple of times a week. 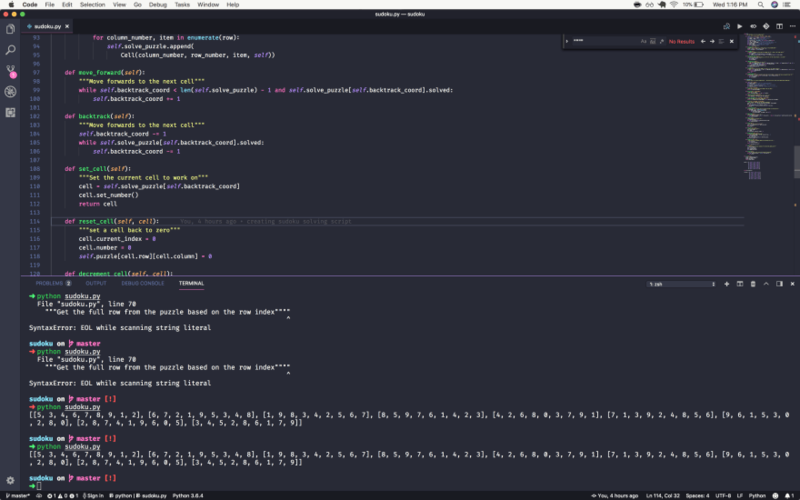 Nord, in the terminal, Atom and Xcode. I find it very pleasant for my eyes, especially at night or when it's dark. 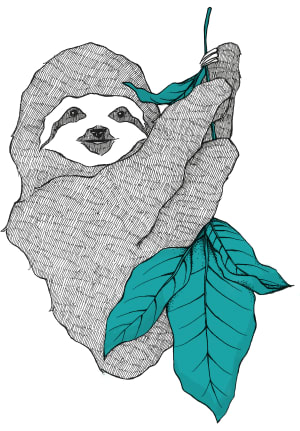 I hop color schemes pretty frequently. I have moderate to strong protan colorblindness and most color schemes out there just don't have enough contrast between the colors for me to have an easy time differentiating them. 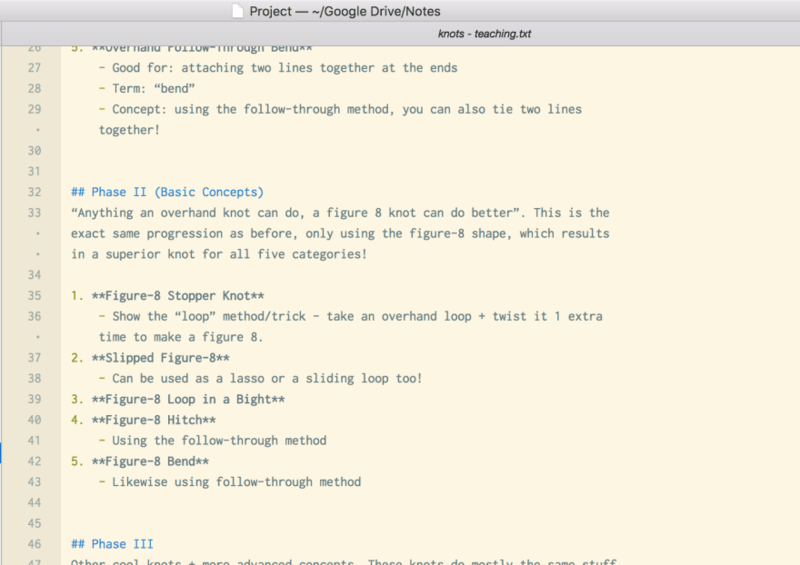 I've become pretty addicted to Brogrammer. It's a great dark background with very colorful type. It doesn't strain my eyes too much and I like the bright colors. I didn't use anything before and then I found Sublime and VS Code and I can't think about going back to something uncustomized. 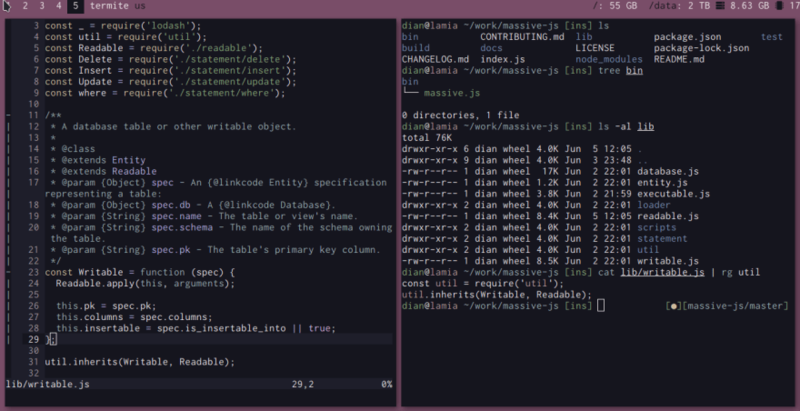 I keep my editor and my terminal separate in look, I'm fine with a dark terminal scheme. I'm not in it as much as my editor. Not a huge fan of Atom, but I love the One Dark color scheme it has. So I use that in all my editors now (primarily VS Code, but also in Eclipse at work). With Atom is use the default One Dark theme, it's quite neat and I like the colors. 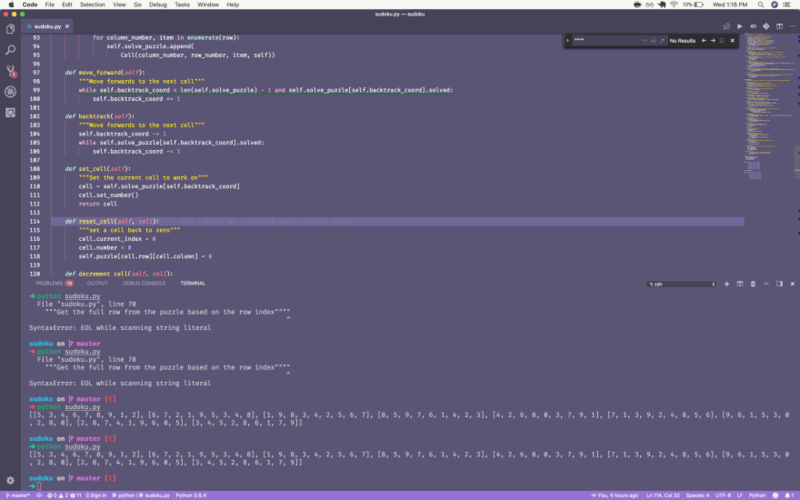 With VIM I use a Monokai-like theme to keep things consistent with what I can find for other editors. Solarized dark as it's present on all of my tools, not too bad on the eyes, and i like consistency. I use Dracula everywhere it's possible to use Dracula.